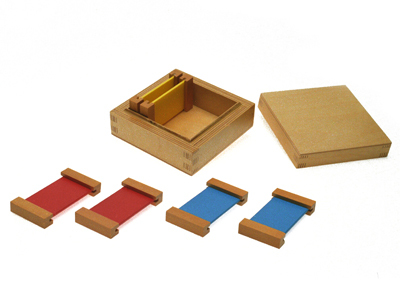 Three pairs of wooden tablets in the primary colours, red, blue and yellow. 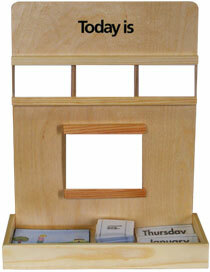 Purpose- To refine the child's perception of colour, awakening conscious awareness of colours in the environment. Also a preparation for future art work.